Collaborative and fenceless robots are like the rectangle and square of the robotic field. All squares are rectangles but not all rectangles are squares. Simulation showing safety zone needed for robot to move at normal speed. 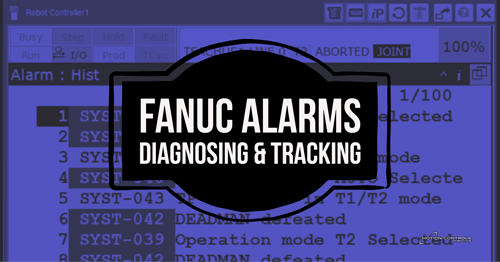 In our Tech Talk article on Dual Check Safety (DCS), we discussed how DCS technology could make fenceless robots possible. Fenceless robots are important because without fencing and guarding a robot cell can take up less floor space, cost less, and allow greater freedom of movement and access. 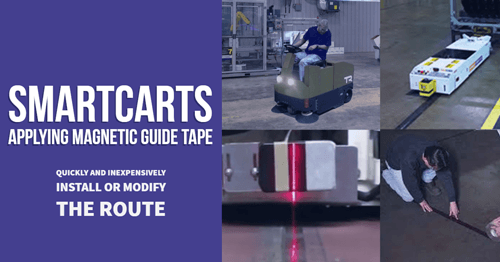 Robot systems that use DCS with sensors to control the robot’s movements are designed around a typical industrial robot (Read Dual Check Safety Explained for more about how these sensors work). 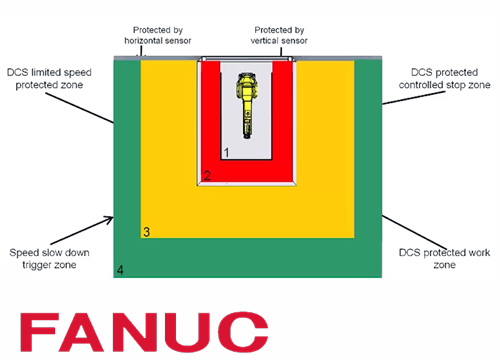 This FANUC diagram of a fenceless robot design shows different safety zones. The robot performs the task normally unless a worker triggers a sensor by entering a safe zone. The robot at this point slows considerably and its movement is restricted. 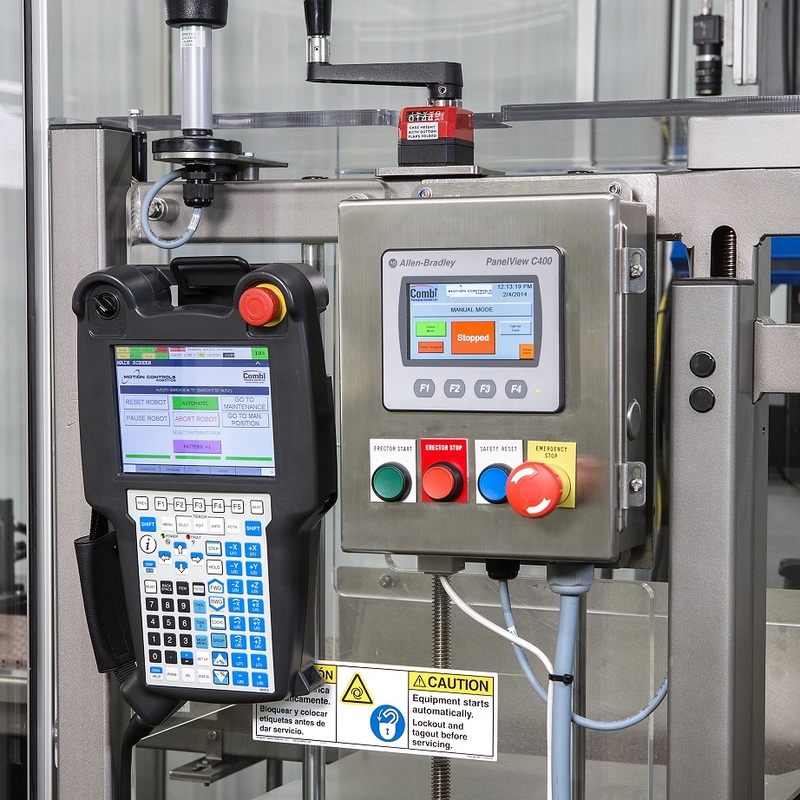 This allows a worker to enter the robot cell to add parts or perform secondary operations, but it does not allow the worker to work alongside the robot. If the worker gets too close they enter the robot’s stop zone. The robot will then completely stop and is no longer working, neither of these scenarios allows the robot to work at peak productivity. Enter the collaborative robot. 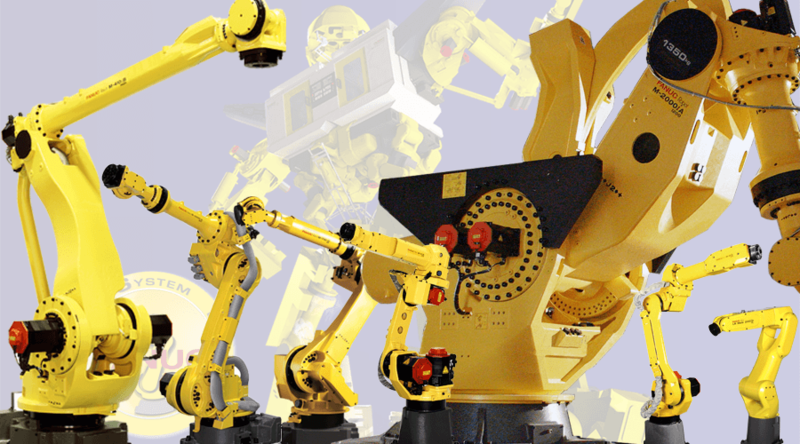 Collaborative robots don’t have to be fenceless, but they can be. 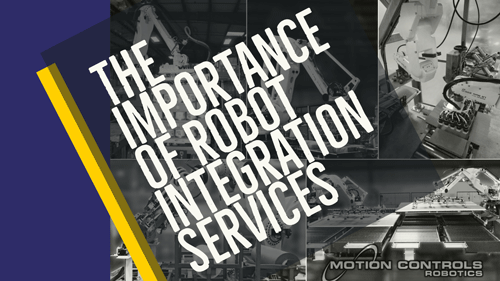 Allowing an operator to freely collaborate with a robot, and vice-versa, is an application goal; true collaborative robots have been designed to accomplish this task. Force limited collaborative robots use integrated technologies and design to make sure that the human counterpart is safe. Until just recently, all collaborative robots have had very light payload option because that suits the safety requirements. 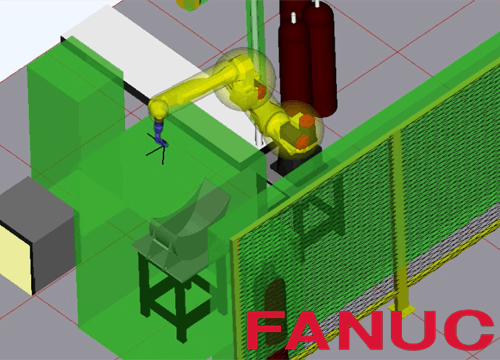 The new FANUC CR-35iA is a collaborative robot that has a larger payload and reach and still remains safety certified to TUV ISO 10218-1:2011 for the employee working with the robot. 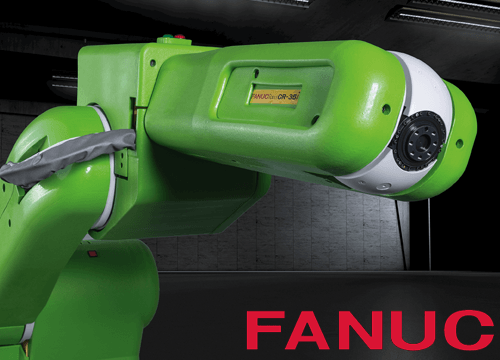 The CR-35iA robot uses force sensing technology to limit the amount of resistance in touching any nearby items (Read Tech Talk Article explaining all the safety features of the FANUC CR-35iA). The robot immediately stops when the maximum allowable force is sensed. The robot can also be pushed away and then restarted by the worker. 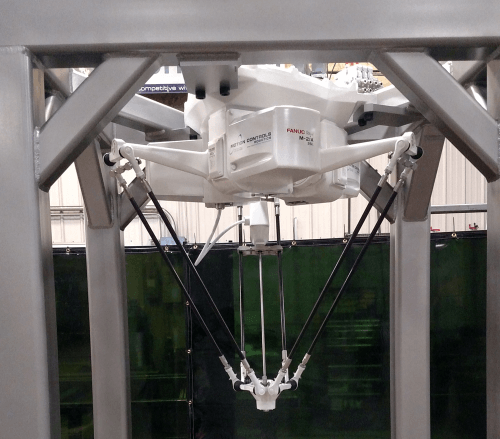 The CR-35iA does need more integration and programing to perform a process, but it can take over heavy lifting, redundant tasks and allow employees to perform important secondary operations productively. Force limited collaborative robots make it possible for a worker and robot to perform tasks side by side and free up the worker to perform more important tasks, avoiding the boredom and injury of repetitive tasks. 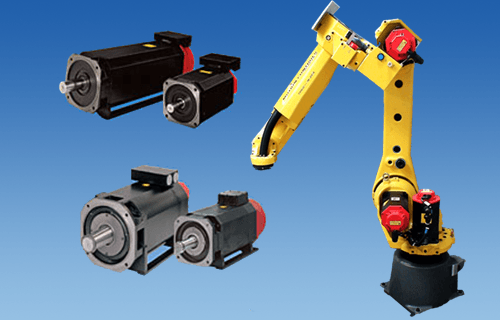 If you are interested in updating your current automation application to incorporate new safety technologies or collaboration, contact us through our online robotic request for information form. * Fences can be used to section off areas for other safety purposes. 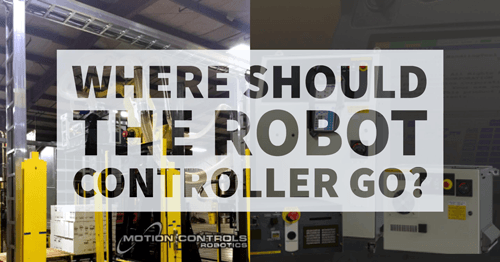 Where Should the Robot Controller Go?